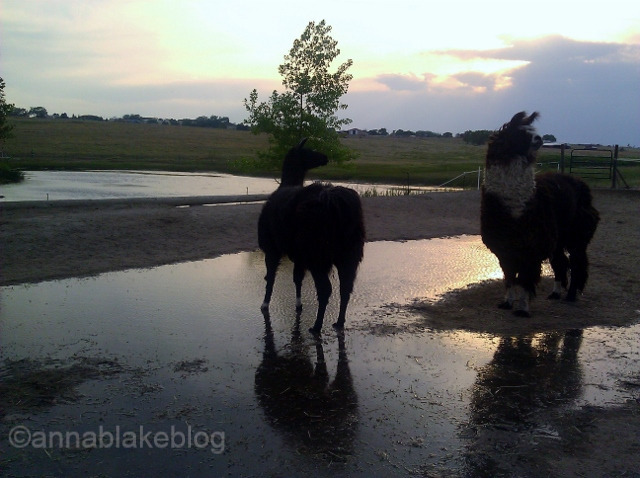 Afloat: Llamas are animals from another planet; everything about them is sideways of the usual. They look like badly put-together horses but behave more like cats. They love family and protect their home. They have a springing float in their gait–hang time–and a total disregard for gravity, that lingers after the play is done. ← Walter on Positive Pet/Vet Training.